The 1st phase of this project was to create a way-finding system and art project for the lobby of the administration offices in collaboration with 7th and 8th grade students. 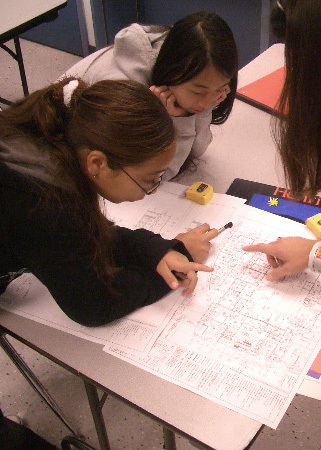 Adopting themes of elevation, aspiration and growth as the design directive, students were influenced by the cultural perspectives of art and architecture from Asia, Africa, and Latin America. 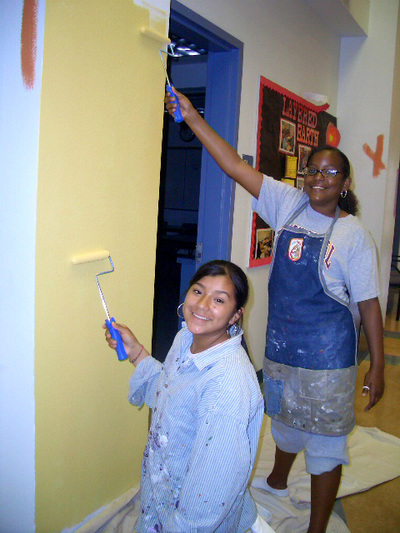 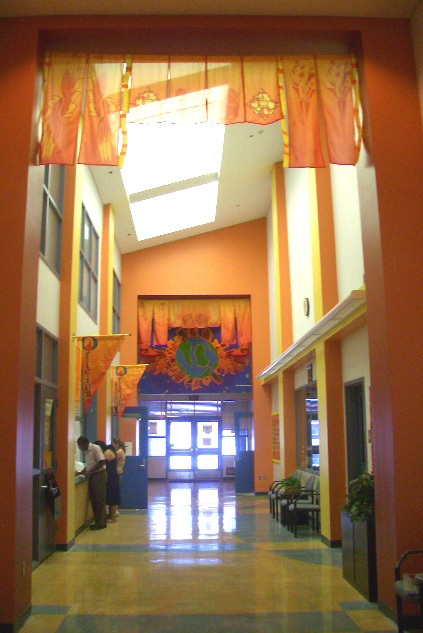 Students’ art work was translated to mural graphics and fabric banners that identify each of the offices. 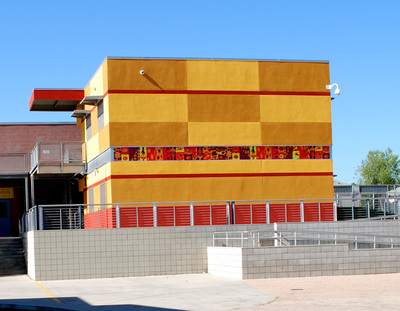 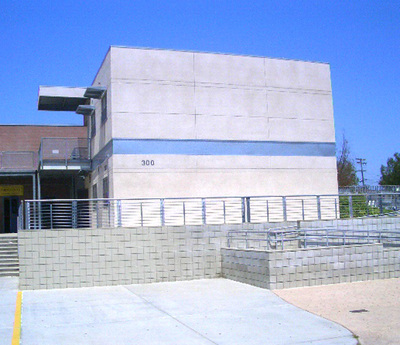 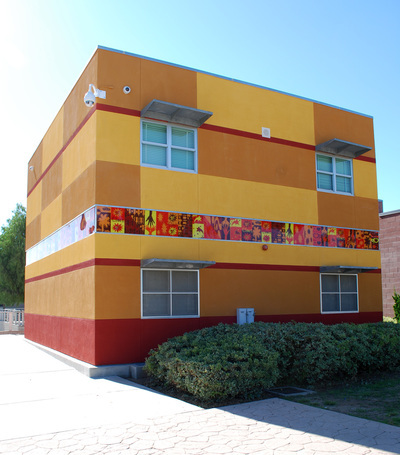 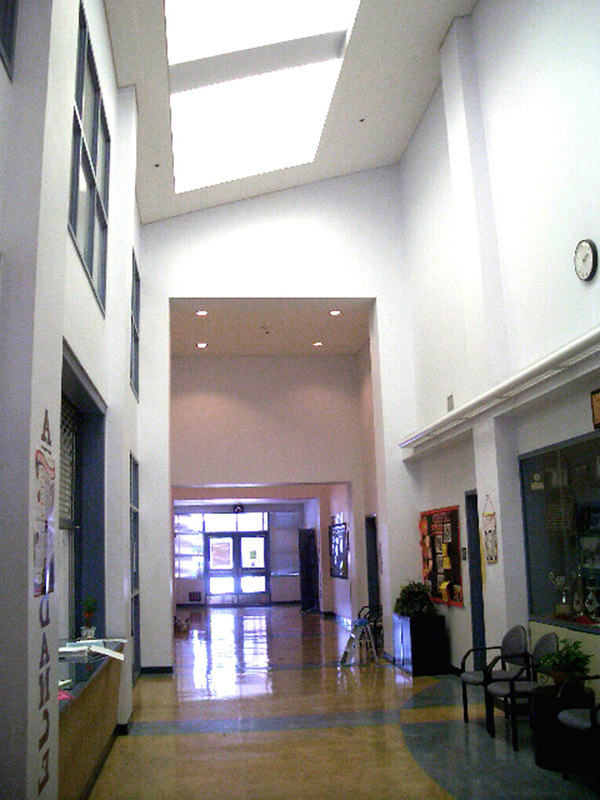 The next project focused on the exterior of a 2 story stucco building that contains classrooms, offices and the parent center. Students created art work that was printed on to clear UV resistant plastic and installed in a pre-existing galvanized sheet metal channel. The building was painted with new color system that enlivens the area and helps to identify the offices there. 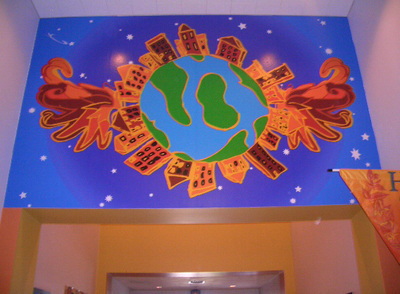 See where this in on the Art Map.